In the last three weeks we have looked at the various groups of entrepreneurs that have been negatively affected by the unpredictable local currency, the kwacha. This week, I felt it important to veer off and briefly analyse the Bank of Zambia Monitory Policy Committee presentation last week, for the Fourth Quarter of 2018. We will come back to the various sectors of the economy next week. The presentation, made by the Central Bank Governor Dr Denny Kalyalya, highlighted various short comings in the country’s economic performance last year and the beginning of this year. One of the highlights in the Committee’s report is that the currency last year depreciated by an average slightly over 15 per cent. However, the Committee did not indicate how the Central Bank will mitigate the problem this year because the same factors that contributed to the depreciation have continued. And this is just the beginning of the year; meaning that by December the depreciation rate could be much higher. The Committee further projected that inflation will remain at between 6 and 8 percent this year. Again, there was no explanation given on the measures the Central Bank has taken to maintain this. The worry here is that while the Bank anticipates what it terms ‘’continued subdued economic activity, with heightened downside risks’’, it has not indicated how this will be harmonised with the projected inflation rate. There seems to be a serious contradiction in expectation. In the same report, the Central Bank anticipates a ‘’sluggish private sector growth’’ and ‘’slow progress towards fiscal consolidation as reflected in rising domestic arrears, public debt and external debt service payments; and, weak asset quality in the financial sector as reflected in high non-performing loans’’. These are serious economic indicators that can further derail the economy. In one breath, the Bank is admitting serious challenges to the performance of the currency, while in another they are giving an imaginary hope to the citizenry. Going by their own admission, it is almost impossible that inflation will be kept at below 10 percent by December this year. Yes, the Central Bank has always made several interventions including hard liquidity injections, but this has not helped much. And it will not always be a long-term solution. 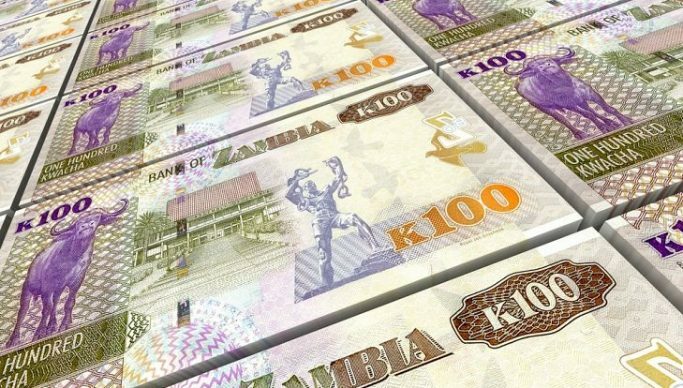 The Central Bank attributed the Kwacha’s depreciated by 15.3 percent against the US dollar to, mainly sustained demand for procurement of petroleum products, VAT refunds and a relatively strong US dollar. Other than the VAT refunds which will soon be scrapped off if the government does not succumb to pressure from mine owners and other monopoly capital, all the other factors remain the same. These include a sustained demand for foreign exchange, particularly for procurement of petroleum products; a strong US dollar; and, negative market sentiment following credit rating downgrades. In fact, our economic rating should remain the same as last year’s, considering that nothing much has been done to boost the economy. Now, here is a clear case of the Central Bank admitting that they are not sure if the kwacha will hold even for a small margin. The reality is that the local currency will continue to weaken to unimaginable levels. Factors such as heavy internal and external government borrowing have continued. This means that the government will continue to spend more on debt servicing, thereby sustaining pressure on the economy. There will be no visible economic growth and no concrete hope of rescuing the kwacha. As things stand, it’s still a gloomy picture for the local currency.